In every cop TV show there is a scene where the detectives have to visit the family of a murder victim and inform them that their loved one has been killed senselessly. The family cries or yells, and the cop either shrugs it off or says something really pithy. My dear, dear Alien fans, I am the detective and I am on your doorstep. I am going to do the merciful thing and spare you the hundred horrible details about the end of a franchise that, as many of us suspected, really had no business being a franchise. 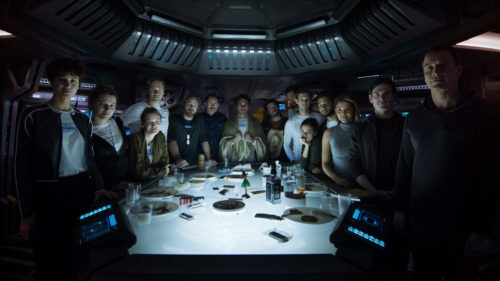 You may even hear filmgoers praising the film as a top-notch blend of action, horror, and science fiction. 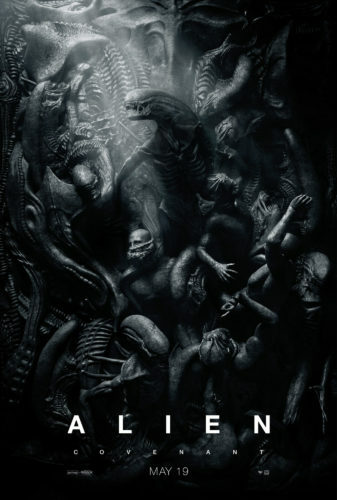 They aren’t wrong, as director Ridley Scott (Alien) has done a great job of bringing these distinct genres into one ambitious bit of cinema that offers plenty of evidence of his current status of elder auteur. There are plenty of epic images that we’ve grown to expect from his sweeping directorial sense. Images that found their full expression in the Métal hurlant-esque vistas of the often-maligned Prometheus. In Ridley Scott’s universe of colonial space exploration, space is awe inspiring in its beauty and terror. 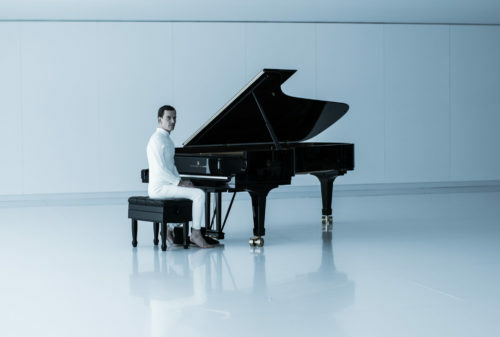 This is a fine thing for a science fiction film to be; unfortunately, as Alien: Covenant shows, it has no place in an Alien movie. Alien offers no escape, only claustrophobia and screamless silence. 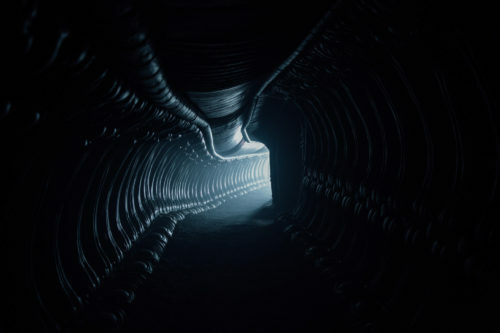 There’s no question this is an Alien movie and not a Prometheus movie. We’ve got the Xenomorph, of course. We’ve got the synthetic life forms David and Walter (Michael Fassbender), which may or may not be up to no good at all. We’ve got the plucky heroine Daniels (Katherine Waterson), whose toughness and alienation might make her the last person standing. We’ve got a distress beacon that answers some questions and recalls, without any shame at all, the original Alien. Since the ship is on a colonization mission and everyone on the ship is expected to mate, there are even some thematic callbacks to the bio-horror at the heart of H.R. Giger’s original creature. There’s heavy equipment. There’s a firefight with screeching aliens. There’s a chestburster scene. The film hits all the marks, so much so that I have to wonder if there isn’t an early version of Walter somewhere out there with a fresh WGA membership card. The movie has everything, and yet doesn’t really do anything at all. Covenant falls apart as a whole, but there are plenty of moments to keep Alien fans from walking out of the theater. 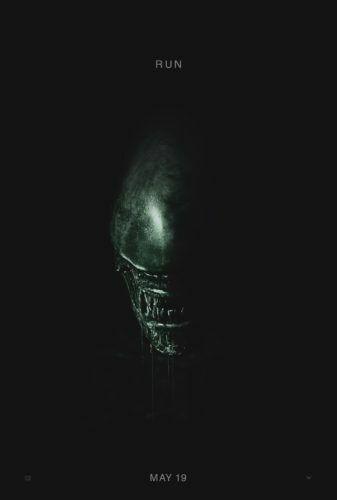 As hackneyed as this version of the Xenomorph origin is, the callback to Mary Shelley’s Frankenstein and the poetry of John Milton both reach for the deep, dark stuff of the original film. The scenes on the ship all recall the original, sometimes too doggedly, but once the Alien shows up there are a few nice moments of xeno-terror. 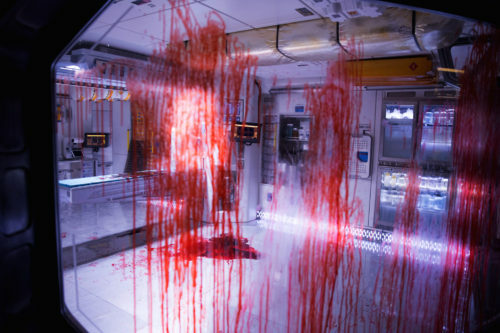 That is not dead which can eternal lie, Mr. Ridley Scott.